To celebrate the Summer weather, American Apparel has released a limited-edition (for Summer only) line of 6 vibrant-yet-sheer colors inspired, and named after California beaches. 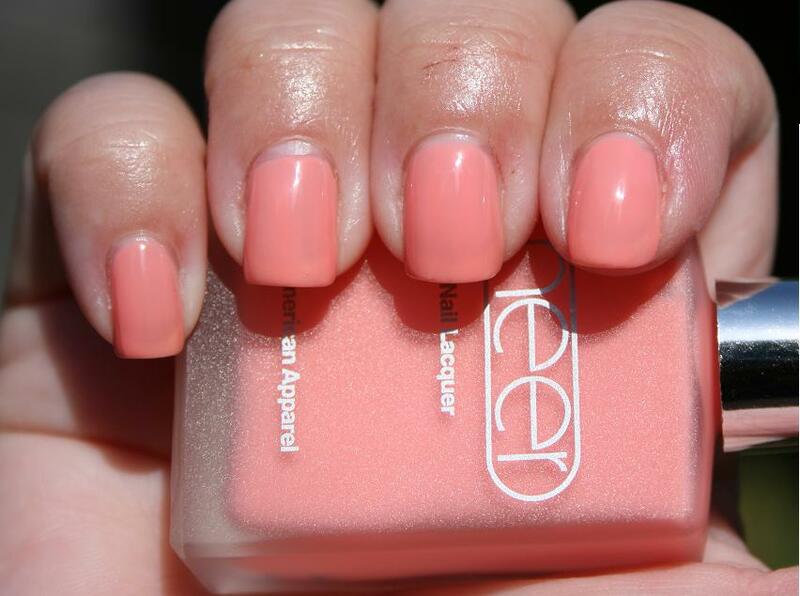 The 6 new shades are: Summerland Beach, Manhattan Beach, Zuma Beach, Moonlight Beach, Redondo Beach, and Pacific Beach. Today I've got three of those shades to show you. All swatches are shown with topcoat applied because they dry a bit matte. I stopped at two coats on this one because coverage was already pretty good. I wanted a sheer effect and was afraid it would be too opaque at 3. This was definitely my favorite of the three. It is gorgeous! This one was so squishy..... although I don't think my skin tone is suited to greens like this, if yours is, this is such a neat shade. 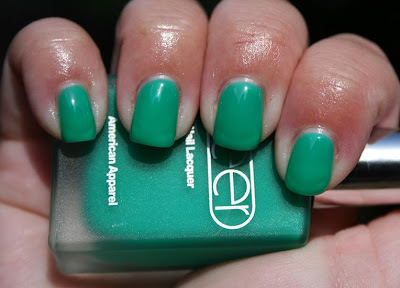 American Apparel notes that these are highly pigmented making them perfect for layering art or ombre effects. 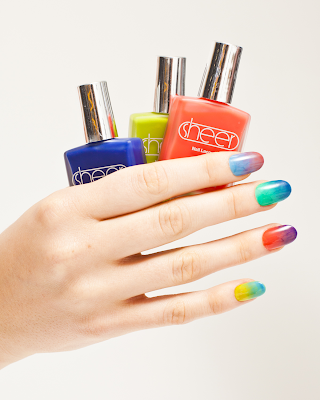 These lacquers are cruelty-free as well as DBP, Toluene and Formaldehyde free! They are now available online at the American Apparel website for $6 each, as well as in stores across the US (and soon internationally). Pacific Beach and Summerland Beach are totally shades I would love!! Thanks for introducing this line to me - I hadn't heard of these yet!